This week, in the Renovation Challenge we are seeing a lot of progress. The demo is done and all the spaces are prepped for their fresh new look. The fun is approaching…it’s time to let the tiling begin. How do you select your tile? There are a variety of ways to make tile selections that best fit your design aesthetic and make your space your own. Leslie, of My 100 Year Old Home, shares with us how she selected her bathroom tile. What do you do after you’ve made your selections? It’s time to install! There are many ways to prep and install tile in your space. Check out this week’s post from Yuni of Love Your Abode to see how she used a waterproof base to provide extra protection in her master bathroom. Sonya Burgess also shares how she used cement board in her shower to prep for tiling. Liz of Franc and Eli shares how to level off your flooring for an even install, while Morgan and Jamie of construction2style talk about the various ways to install a classic subway tile. Pattern or no pattern? Herringbone or brick? So many options, you’ll have to tune in to see what they decide to go with. So much progress this week as we start to see these amazing spaces take shape. Don’t forget to cast your vote for your favorite designs. 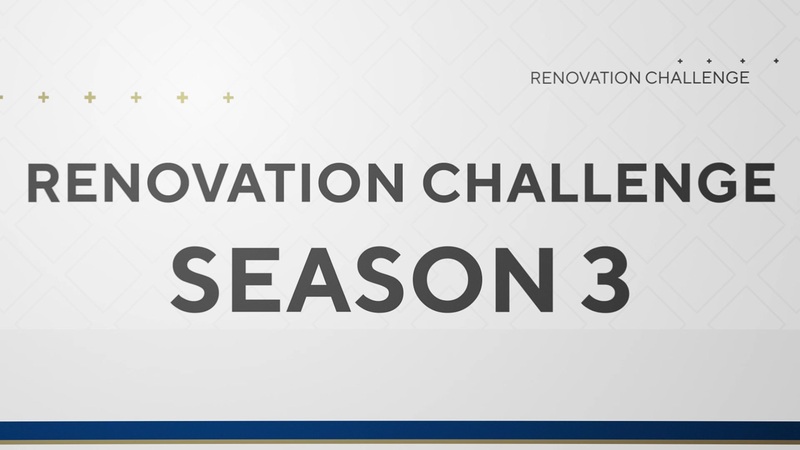 See more from all 15 designers on Season 3 of the Renovation Challenge.